Picture this: you’ve got all the ingredients prepared to make your family a delicious dinner, then, you suddenly find that your oven range isn’t working. Try as you might, you just can’t seem to get your stove burner to light or you still can't figure out why your oven isn't heating properly. As frustrating as this situation is, it’s important to remember that you’re certainly not alone. A quick search online will likely result in hundreds (if not thousands) of companies near you, that specialize in oven and stove repairs, ready to come remedy the issue fast. So, what are the best oven and stove repair companies available? Read on to learn exactly what you should be looking for in an oven or stove repair company, and why Puls offers a superior option for all your oven, stove, and range repair needs. When your cooking range is faulty, you need it fixed immediately. You don’t have the time to wait around all week for a repair service, and you certainly don’t have the budget to purchase all yours meals out indefinitely while you wait. That’s why you need a repair company that can come to you at the drop of a hat, whenever it suits your busy, non-stop schedule best. 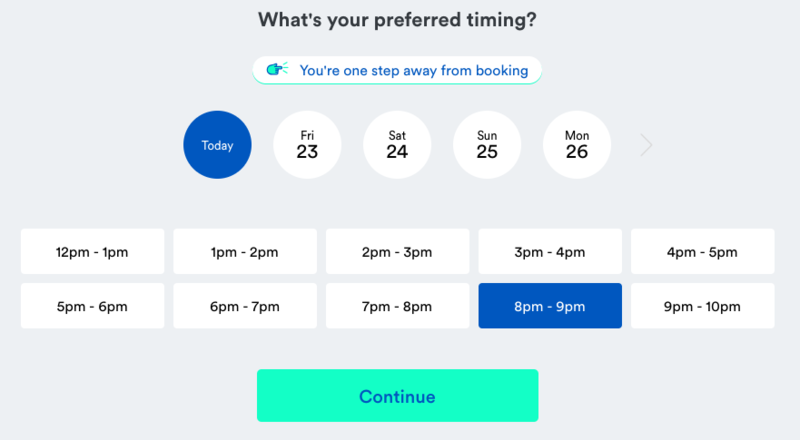 Look for a company with online booking options, same-day or weekend appointments, and flexible time windows to choose from. As vital as a speedy service can be, one could argue it’s even more important that your repair technician possesses the proper level of skill and expertise, to pinpoint your problem and find a stable, lasting solution. Unfortunately, things aren’t always what they seem with certain appliance repair companies. Many small ‘mom and pop’ companies claim to have many years in the business, but fail to offer the level of service and know-how that you’d expect. You need someone that can adequately assess and repair the problem at hand, and you should feel certain that your precious oven or stove is in safe hands. Lots of companies offer an in-home consultation or quote, in which they come to you to diagnose your appliance. This way, you can assess their knowledge and make sure they really know their stuff before you commit to paying for a full repair service. Finally, when booking a stove or oven repair, you need a company you can rely on. Someone that will stand by the quality of their work, even long after your repair is complete. That’s why it’s incredibly important that the company you choose offers OEM parts and a guarantee on all parts and labor, so you can feel confident in the quality of their work, and have peace of mind that you’re covered, even if an issue arises out of nowhere post-repair. Always inquire about what kind of guarantee the company offers before you carry out the service, so you won’t have to deal with another pricey repair shortly after. At this point, you’re probably wondering if there’s one company that possesses all of these necessary qualities combined. Is there truly one company that offers speedy service when you need it, skilled technicians, OEM parts and a guarantee on all parts and labor? We’re delighted to say that there most certainly is - with Puls oven and stove repair. For just $79, our expert technicians in your neighborhood will arrive to doorstep, often within as soon as the very same day. We have appointments available on all weekends and holidays, to diagnose your oven, stove or range and find the exact problem at hand when it suits your busy schedule best. Once you decide to move forward with our recommended repair, this diagnostic fee is waived completely. Furthermore, all of our services come backed by our 90-day guarantee, so you can feel confident your repair is done right from the start, and enjoy coverage long after. Book a repair online in seconds, and for a limited time, you can use the code: SAVE20 for $20 off. Get back to cooking and baking all the dishes you love in a heartbeat - Puls is here to make it easy.